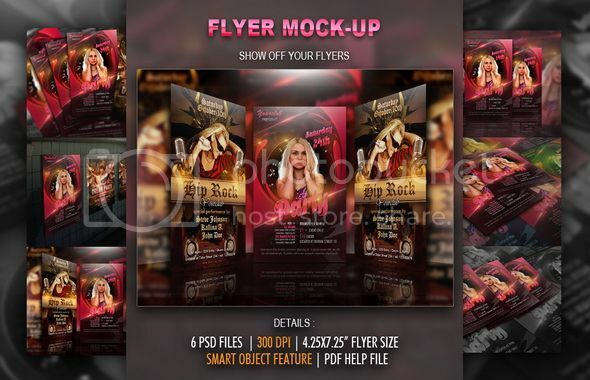 Show off your flyers with this flyer mock-up. This item consist of 6 different styles. Easy to use with smart object feature in photoshop. Help file is included.